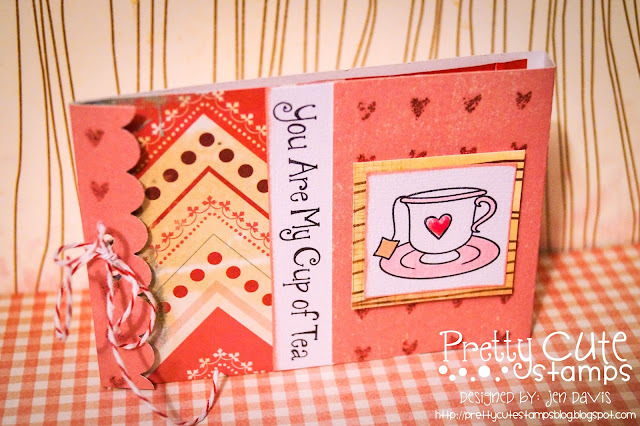 Sharing my little project that I made for the "LOVE" Challenge this month for Pretty Cute Stamps...I used the Tea-rrific Stamp set to create a little tea holder for a single tea bag. Now for the fun part...we want you to play along! 3. You can enter as many different projects that follow the monthly theme as you want for more chances to win. 4. The challenge will run for 3 weeks. You must link up your project by 11:55 pm CST on the Saturday...3 weeks after the start of the challenge, Feb.6. 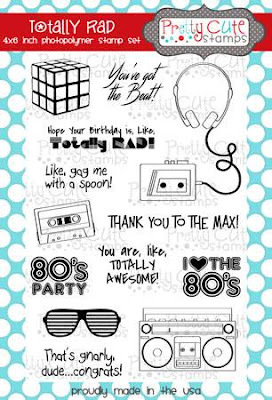 I can't wait to see what you create!! As always, thanks for stopping by! Popping in to share a quick card that I created for Pretty Cute Stamps! It's been a crazy busy week here this week so I've been pretty much MIA online as of late...but I wanted to share this cutie before I forgot. 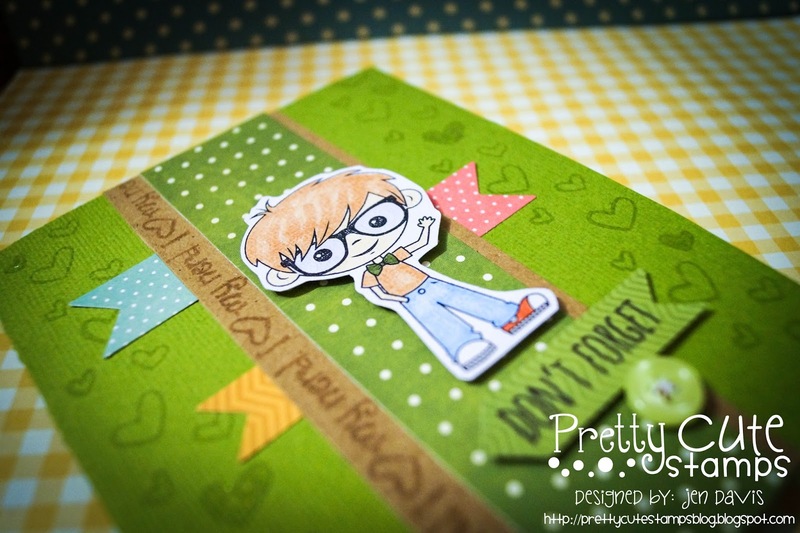 I used the Adorkable stamp set for the little guy and the sentiment "I Love My Nerd", the hearts are also from the stamp set. 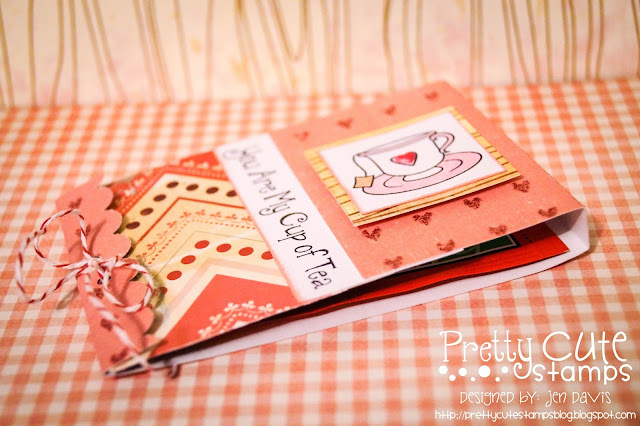 I had the colorful little pennants/banner strips from my January Birds of a Feather kit and trimmed them up and added them to the card to add a bit more color. Pretty Cute Stamps Blog Hop! 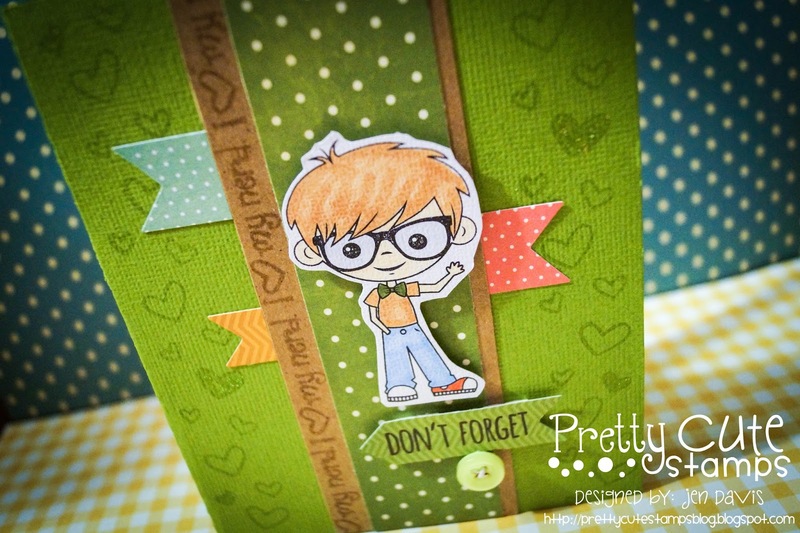 If you arrived here from Melissa's blog you are in the right place! 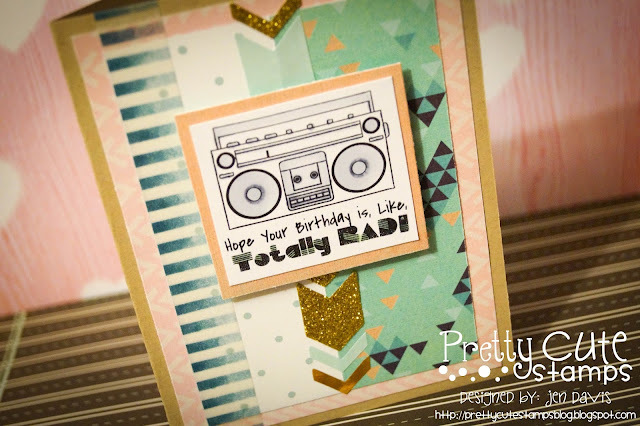 If you just happened to stumble on this blog post head on over to the Pretty Cute Stamps blog and start at the beginning to hit everyone's blog! Everyone in the hop is sharing pictures of projects created using the NEW RELEASE stamps for January which are available in the Pretty Cute Stamps store. Now for the fun part...to WIN A $15 GIFT CERTIFICATE to the PCS Store you must leave a comment on each blog along the hop. 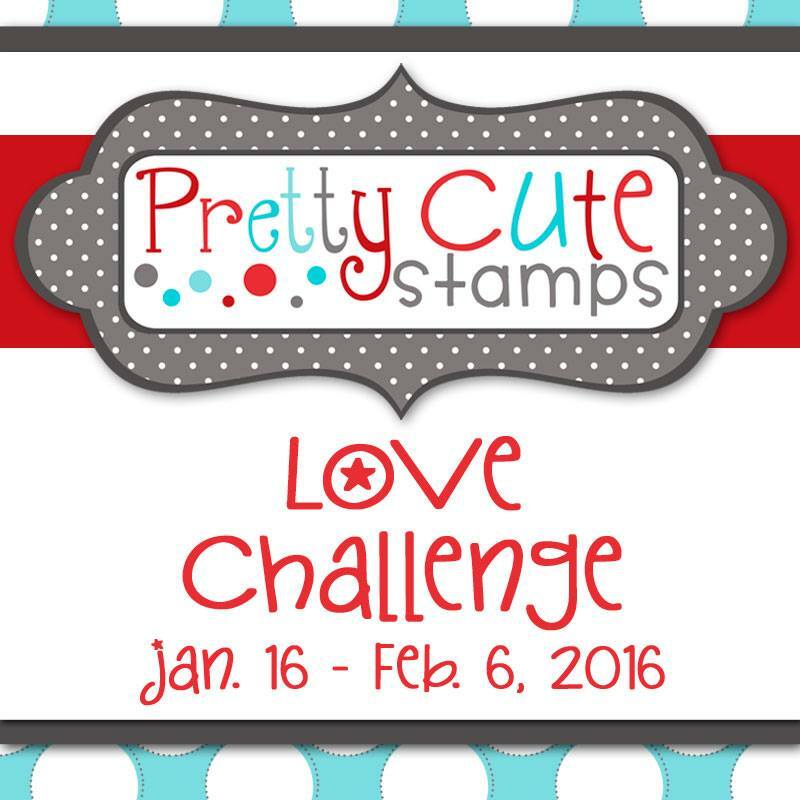 For extra chances, you can also LIKE Pretty Cute Stamps on Facebook and/or sign-up for the Pretty Cute Stamps mailing list. A random winner will be chosen for the prize on Monday, January 11, 2016. All of the New Releases will be on sale through January 12, 2016 and you can save even more by purchasing the January 2016 Stamp Release Bundle! 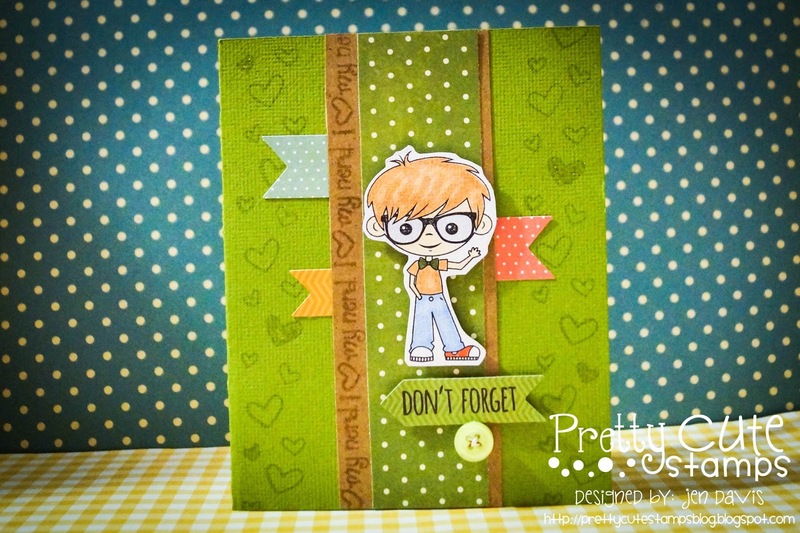 To finish this month's hop head on over to Gloria's blog, thanks so much for stopping by! Pretty Cute Stamps January Sneak Peek! I am so excited for the reveal for the January release from Pretty Cute Stamps! Before the reveal though of course we are in for some sneak peeks! 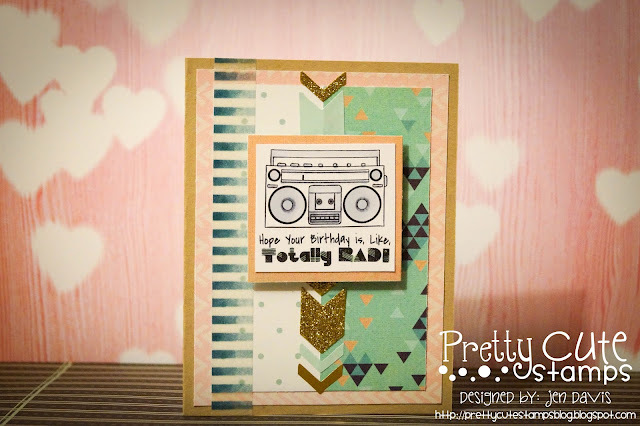 Sneaks will be available for your viewing pleasure on the Pretty Cute Stamps blog (and the blogs of the other designers) today and tomorrow with the full reveal shared on January 8. 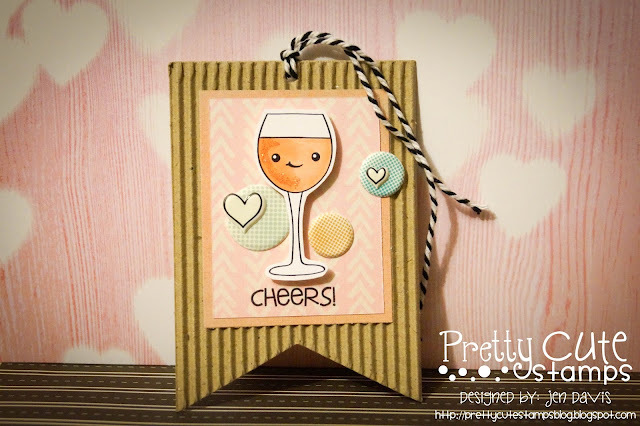 For my tag above I used three different images from the Happy Hour Faces stamp set. The wine glass, the smile-y face and the greeting were from the set...so cute!! I can't wait to share the complete set on reveal day!